Happy Earth Day! We appreciate all of you taking time out of your day to make our planet a cleaner, safer place to live! To honor the Earth Day spirit we wanted to help spread word about the upcoming “South Orange River Day“, happening May 4th. The Rahway River is approximately 24 miles long and rises in Essex County as two separate branches. The East Branch, which runs through South Orange, begins in West Orange and forms part of the boundary between West Orange and Orange, New Jersey. Each Spring, the river is stocked with roughly 6,000 trout. Which brings us to one of many reasons why South Orange needs your help in preserving the river. South Orange River Day was officially born in 2011 when The South Orange Environmental Commission took over organization of the event from Main Street South Orange. River day was relaunched as a community event adding food, music and fun to the mix. For more information on the founding of River day click here. 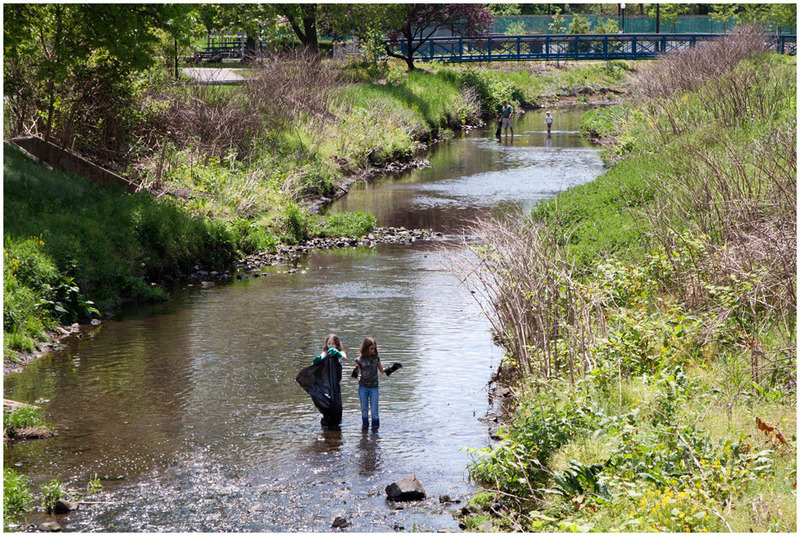 In 2012 over 500 members of the South Orange community showed up to clean the river! The amazing volunteers doubled 2011′s effort pulling approximately 2000 pounds of garbage from the Rahway, enough to fill 4 dump trucks!